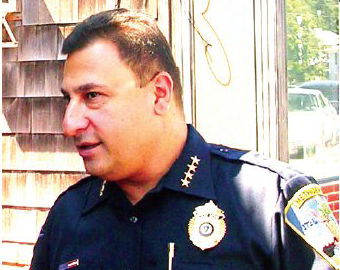 Methuen Police Chief Joe Solomon said in an exclusive interview with The Valley Patriot this week that federal grant money from the Department of Justice for thecity’s Weed & Seed program was spent legally and in compliance with federal regulations. 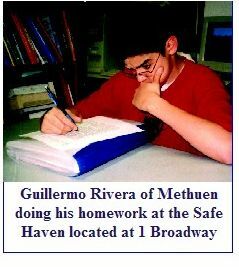 Solomon was reacting to an Eagle~Tribune report which outlines how the chief and the Methuen Police Department spent money on travel expenses at conferences around the country which was paid for out of the Weed and Seed federal grant program. Methuen received the Weed and Seed five year grant from the Department of Justice in the amount of over $1 million dollars. The Tribune focused on the spending of a mere $27,000 in travel expenses, something the chief took exception to. In his discussion with The Valley Patriot Chief Solomon said he wanted to correct the record about the travel expenses and discuss the appropriation of over $1 million from Weed and Seed to transform the Arlington neighborhood from a crime infested area to a place where families feel safe and where children in that neighborhood are thriving in school thanks to the “Safe Haven” facility Solomon established. Chief Solomon says that each day the center serves between 70-100 children. Solomon also pointed to the dramatic drop in crime in the Arlington neighborhood. “We’ve been able to provide overtime for cops to be on specific patrols. We started with citizen patrols. We initiated a summer walking program with two cops, two cadets and two residents. We literally walked the entire neighborhood in a group with the neighbors. It made them feel good that we had a relationship with the neighborhood people. We got that idea at a conference, too,” the chief added. “Once you give people an opportunity to help you make their neighborhood better, they become your eyes and ears. They trust the police more and are more willing to help us in criminal investigations. I can tell you I am a totally different police officer today because of Weed & Seed than I was ten years ago. I think it has changed the whole nature of policing.” Chief Solomon said he took exception to what he said was an unfair attack on him and the police department by the Eagle~Tribune.